Some might consider it bad form to start an article with the bottom line, but we'll take that chance. 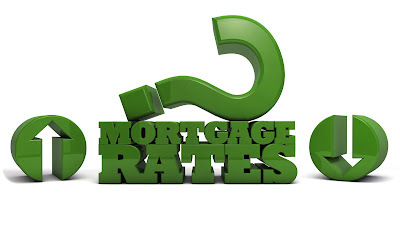 The bottom line is that mortgage interest rates have dropped during late March. No one guessed this would happen after the Fed raised rates on March 15, 2017. Almost no one expects these low rates to continue. The Federal Reserve wants to increase interest rates on regular borrowing while the economy is improving and unemployment is reasonably low. They don't want the economy to overheat, and raising rates is one way to keep the economy from getting ahead of itself and potentially causing inflation above the Fed's goal of 2.5% per year. However, housing continues to underperform. Housing starts are low for both single family and apartments. There is a severe shortage of residential units and this is driving the cost of housing to crazy levels in many cities. The Fed wants to encourage home ownership, so they have not liquidated their enormous holdings of mortgage-backed security bonds. By holding these bonds off the general market, they are artificially reducing the supply, thus driving up the cost. With bonds, as the cost increases the yield, or interest rate, decreases. While we would expect mortgage interest rates to more or less parallel Fed rates as they increase, this stash of bonds is keeping the rates lower than would otherwise be the case. But that's not all. All bonds, including the ones mentioned above, tend to be a safe place to store your money if you're worried about the economy. Therefore interest rates trend up if expectations for the economy are positive, and trend down if folks get worried. In other words people would rather have their money in a safe place, even if the return on investment is lower. The bond market was trending up, as were mortgage interest rates. The Trump effect has seen the market go up 30% since election day, one of the largest 5-month gains in history. The hope of investors was that he would fix Obamacare and create a more business friendly tax code. When the Congress took the "repeal and replace bill" off the table, the market swooned a bit. Some of the money that came out of the stock market made a dash for the bond market, driving down yields. As the Republicans regrouped at the end of March the market settled down, getting fresh optimism from expectations that the Republicans might fear a serious loss of confidence in their governing abilities if they don't get some promises filled soon. Over the next few weeks or months, the market is likely to move based on those two issues. Certainly there are dozens of other influences that could completely change the direction of the market at any moment, but the success or failure of the current administration to do something on those two issues will be huge. If you are in the market for a home, an investment property, or need to refinance for any reason, this is very likely your last stab at rates around 4%. Call Bill Rayman immediately to get the paperwork going at (323) 682-0385. If you need to sell your Denver home very quickly, contact https://cedarcrestco.com/. They have investors waiting.